The first thing to consider is which functions the individual light points should have. A cozy atmosphere and a relaxed mood, or more functional and activating? Single light accents or planar lighting? Highlighting the interior design or else specific furnishings and objects? This then indicates the right LED light bulb selection. With LED light bulbs from OSRAM, you also bring modern lighting design into your home. Light up with millions of colors and take advantage of the super-flexible application options of our LED lighting solutions. Let your creativity radiate! Lumens specify how brightly LEDs illuminate. Unfortunately, the two units cannot be directly compared. 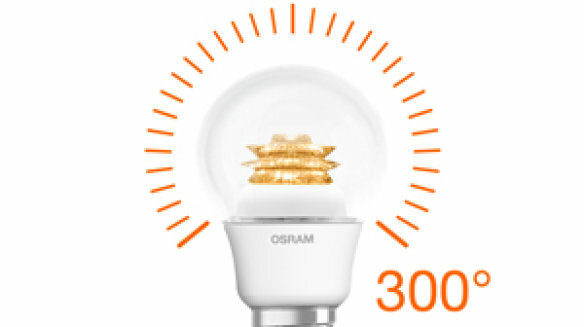 A current LED light bulb from OSRAM as a 75 Watt replacement, for example, illuminates with 1055 lumens. A 40 Watt replacement illuminates with 470 lumens. If you desire bright lighting, you should choose an LED light bulb with at least 800 lumens. It becomes really bright from around 1000 lumens – and the limit is achieved at around 1500 lumens. Those wishing for more discreet lighting should choose around 300 lumens. 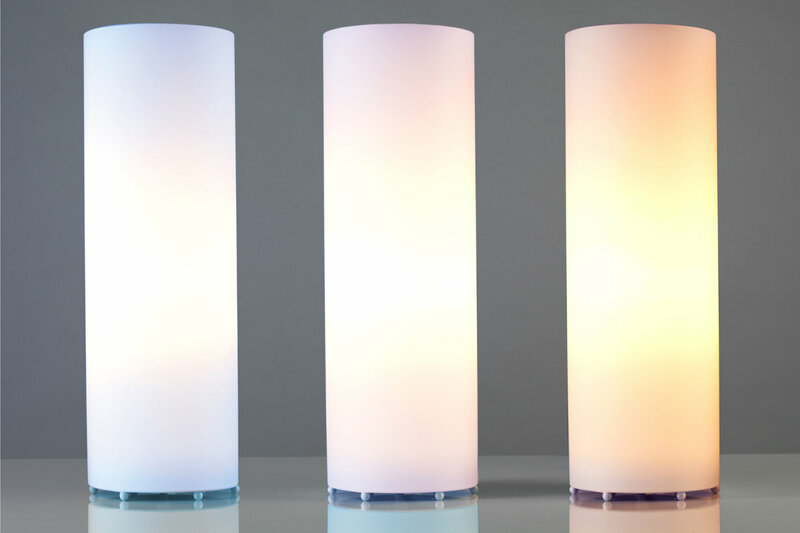 The color temperature or light color is specified in Kelvin. This determines whether the light is more yellowish-warm or blueish-cool. The following applies: The lower the Kelvin value, the more yellowish the light is. Color temperatures to 3300 Kelvin are designated as warm white, 3300 to 5300 Kelvin are cool white and greater than 5300 Kelvin are daylight white. Warm white light has a cozy and relaxing feel, while cool white light is perceived as being activating. Daylight white supports levels of concentration and is often used in work areas. Warm white light is almost always preferred in living rooms and bedrooms, while cool white light ensures optimum illumination in the kitchen or utility rooms. In home offices on the other hand, you can select more than 5000 Kelvin if you need to concentrate during the evenings. Specify precisely which function your lighting should fulfill, and then select the right color temperature. When selecting your LED light bulbs, take account of the so-called "Color Rendering Index" (CRI). The CRI value, oft designated as "Ra", specifies how true-to-nature the colors of objects can be identified in the light of a light bulb. Note: Not all manufacturers specify this value on the packaging. The theoretical maximum CRI value is 100. With a low CRI value, the light appears yellow-greenish and gives skin a pale look, for example. Dark blue and black are also difficult to differentiate between. Only purchase LED light bulbs with a value greater than 70 – that's usually enough for home use. If you place particular value on brilliant colors, you should choose products with a CRI greater than 80. You need to make a fundamental decision: Do you want focused spot light? Then an LED reflector light bulb is the right choice. If you'd like more of a planar illumination, then choose a conventional LED light bulb. By the way: Select a beam angle of around 35 degrees for high quality, accented spot lighting. In this way, you avoid unintended light spill. LED light sources are available in a variety of shapes. The classic LED light bulb has the same design as previous incandescent light bulbs – but almost always with larger dimensions. One of the few exceptions: The SUPERSTAR/STAR Classic A 40 from OSRAM. This also fits in very compact luminaires. LED light bulbs are also available in a curved candle form to enable use in chandeliers, wall torches or other luminaires where the light bulb is visible. A great design highlight: According to the motto of "back to the future", you can illuminate with high efficiency and also with design in mind thanks to OSRAM LED light bulbs with a retro incandescent light bulb look. The light of the RETROFIT LED is also very comparable with the good old incandescent light bulb. 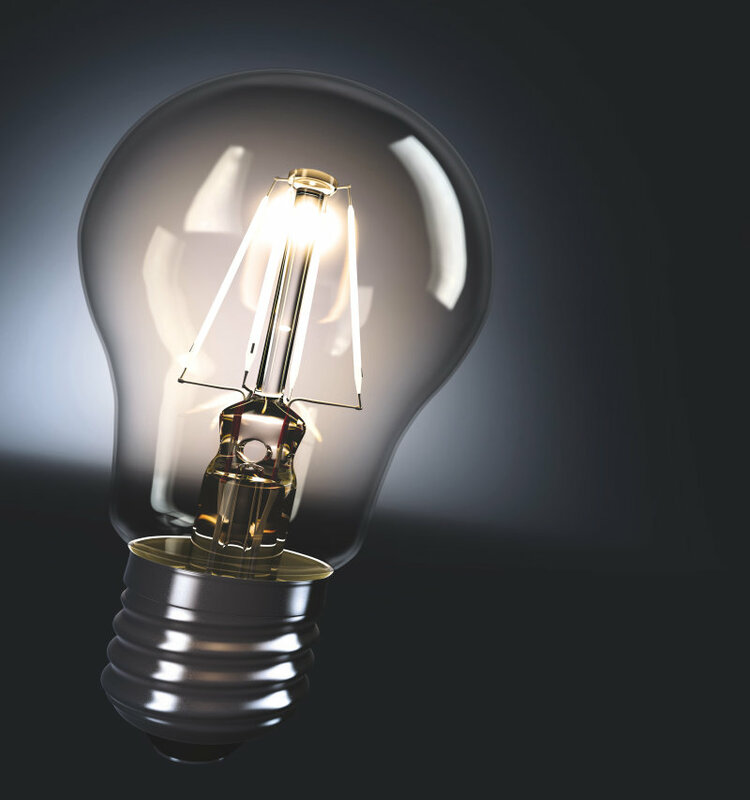 You can of course also plan the bare LED light bulb without a lampshade, but with that 'wow' effect for your home. For a great, modern look in your home. Take a look at LED strips! That's state-of-the-art, efficient LED lighting, completely rethought. 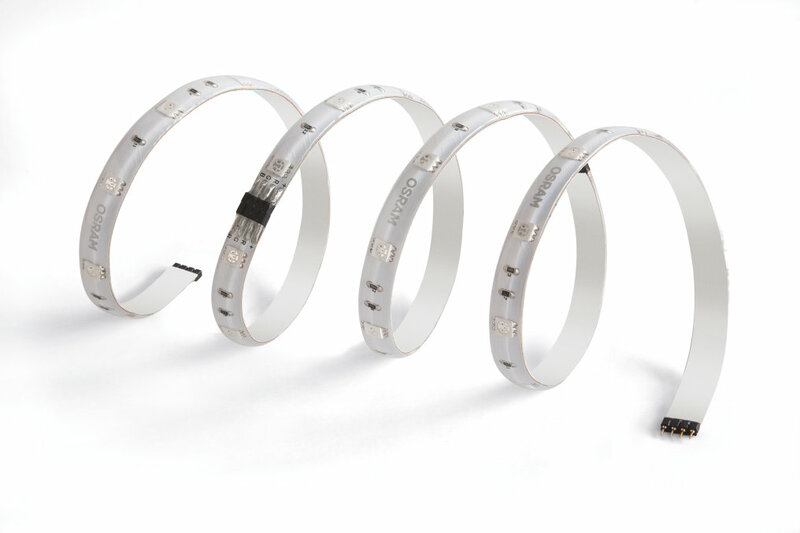 Create fascinating lighting effects with the flexible LED strips. As indirect light, integrated into shelves or cabinets or simply positioned in room corners. The possibilities are almost infinite. Let your creativity run free. 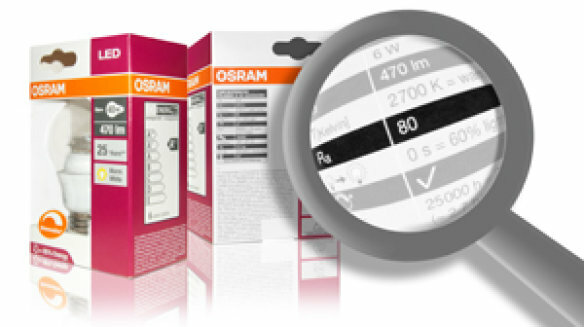 OSRAM has the exciting LEDs Deco Flex in their portfolio.